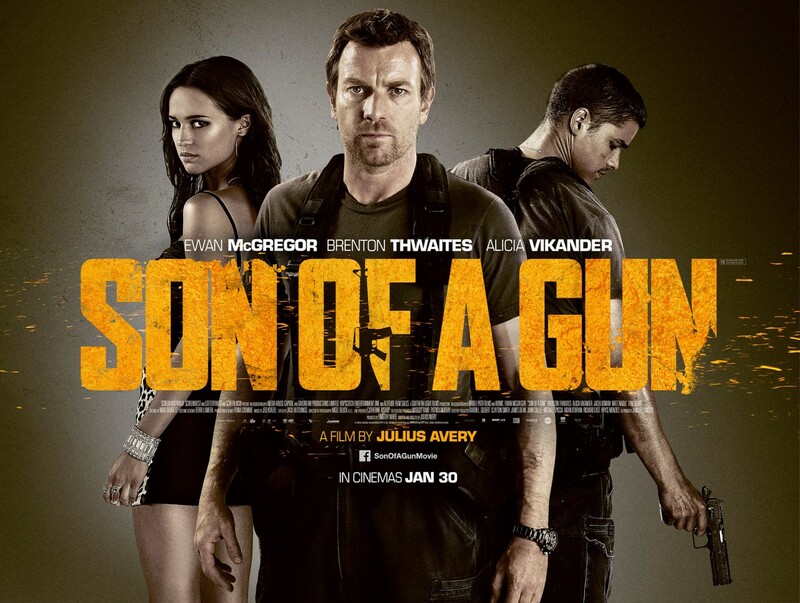 Son of a Gun is a neo-noir film from Australia, this is the second film from Australia I seen this week. This films biggest star is Ewan McGregor, but our main character is played by Brenton Thwaites who has already stared in a few big Hollywood movies and looks to have more to come. He will be a name to watch in the future. Our femme fatale is played by Alicia Vikander who is also an up and comer with roles in the impressive looking Ex Machina and big Hollywood movie Man from U.N.C.L.E.. Matt Nable plays a small but memorable role as one of the gang of thieves. Son of a Gun starts out with Thwaites getting thrown in prison. He is taken under the wing of McGregor who saves him from other baddies. Thwaites gets out of prison but soon finds he needs to pay back McGregor for his kindness. A prison escape is the first plan and then a robbery spree ensues. Thwaites is in over his head, like any good protagonist in a good noir story. This story has prison violence, a prison escape, gangsters, double crosses, triple crosses, torture, murder, a heist, car chases, cheap hotels and femme fatales. What more do you want? Though this isn’t an original story by any means, more of a mishmash of things we’ve already seen put together to make an entertaining film. It’s worth watching if you’re looking for something new to see. Favorite Tidbit: Ewan McGregor’s character is based on real life bank robber Brenden Abbott known as the Post Card Bandit. Abbott has escaped prison 2 times and is currently serving a 23 year sentence.